Thank you for supporting our HKUAA restaurant. We are glad to share a good news with you all! 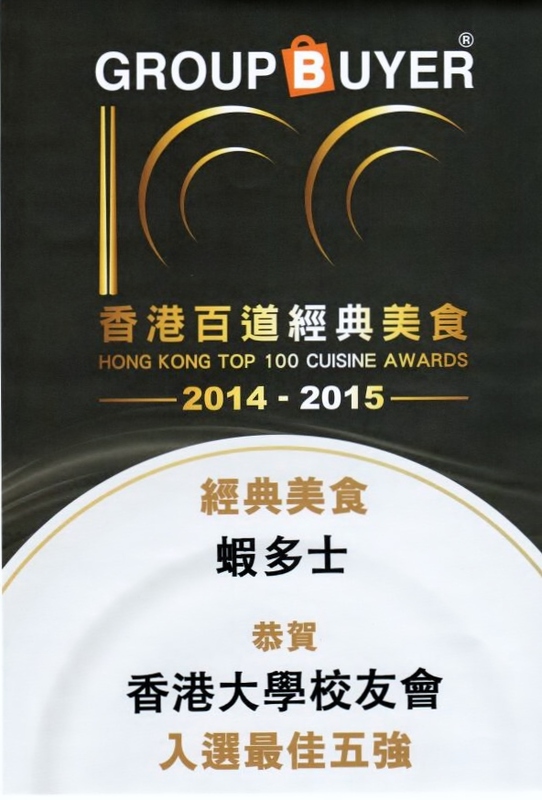 Our restaurant’s classic dish “Fried Prawn on toast” 「蝦多士」 has entered Top 5 of the Hong Kong Top 100 Cuisine Awards 2014-2015 (香港百道經典美食), organized by Group Buyer. The deadline of the last voting period will be on Dec 31, 2014. Please visit http://www.100hkfood.com/?page_id=1029 and vote for us!